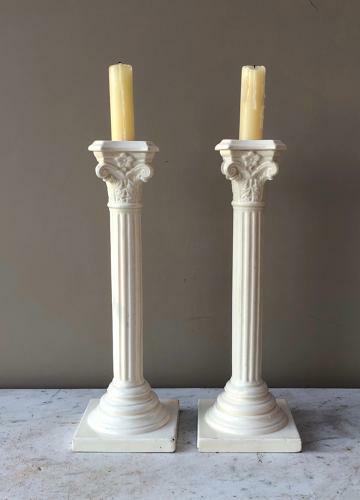 Wonderful large size antique white ceramic column candlesticks. On the base they are both stamped No.1. Whenever I find these candlesticks they always have a few chips etc...but these dont...just a small hairline each at the top. Photographs show them all the way round, top and base.